Poghos Arapian (Hovhannisyan) was born in 1742 in village Apudjekh near the city of Akn. 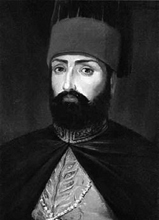 During the reign of Sultan Selim III Poghos Arapian with his father moved to Constantinople where he was a hawker for a while, then he profoundly studied contemporary printing techniques from his father вЂ“ printer Hovhannes Atsaturean. 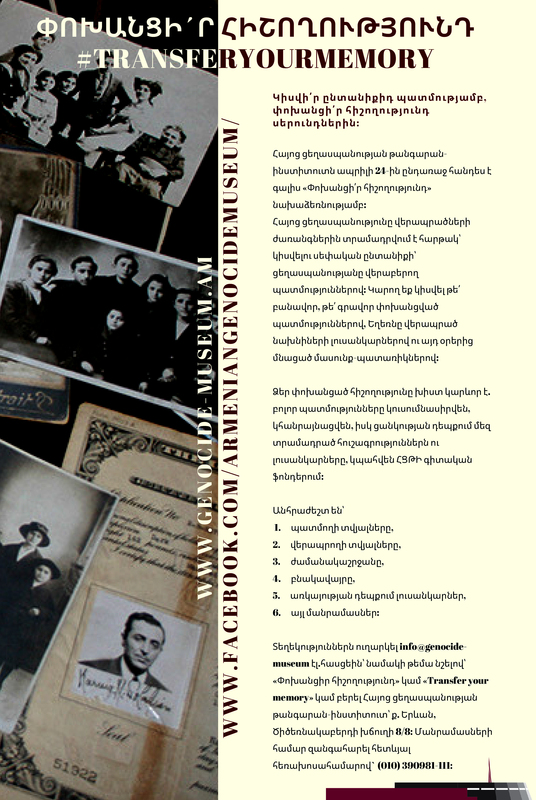 Gradually improving and supplementing Armenian fonts created by his father and developing his printing skills, Poghos Arapian also initiated the creation of lettering templates that became the basis of Georgian and Turkish printing. In 1760s there were several printing houses in Constantinople that operated with interruptions and not completely. Each printing house had its own foundry, where the lead letter templates were moulded, but they werenвЂ™t sold because of strong competition. The printers did everything to prevent the expansion of GutenbergвЂ™s invention and to hold their monopoly in that sphere. In 1770s Poghos Arapian became so famous that in 1781 Georgian king Heracles II invited him to Tiflis. Here he initiated the creation of Georgian printed letters and established a printing house. After completing his work Arapian got 800 dahekan from Georgian king, a considerable sum for that time. Poghos Arapian provided inestimable service also to Ottoman Empire, when in 1791 he created Turkish вЂњnesihвЂќ and вЂњtalikвЂќ letters that later were called вЂњArapoghluвЂќ. Sultan Mahmud II knowing about ArapianвЂ™s printing house, decided to visit it himself. Getting acquainted with the printing work, Sultan, as a sign of merit for innovation and provided service for the country, appointed Arapian (who was called вЂњArmenian GutenbergвЂќ) inspector of Royal print house with a decree issued in 1816. According to the manifest Poghos Arapian and his four sons were exempted from all taxes and got special status which before that enjoyed only three Armenian families in Constantinople вЂ“ Tuzians, Palians and Tatians. According to the tradition existing that time each artisan was to have a small cockade on his hat symbolizing his art. 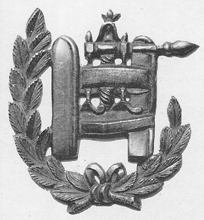 Arapian was the first and the only who began to carry the вЂњCockadeвЂќ awarded by Mahmud II which symbolized a printing press. 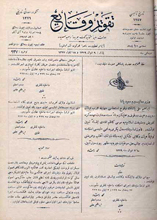 On November 11, 1831 in the royal print house Arapian published вЂњTakvim-i VekayiвЂќ - the first official newspaper in Ottoman Empire, and its Armenian version 500 copies. The translator of the Armenian publication was sexton Hoosik, the secretary of Armenian Patriarchy in Istanbul. For printing of these two newspapers Arapian got 2000 kurush monthly salary from the government. The newspaper was delivered to all governors of the regions free of charge. In the first and subsequent articles were published concerning the issues of the government. The Turkish letters that were made for royal print house and forbidden to take out or be sold without a special permission of Sultan, were moulded in ArapianвЂ™s print house. The service of Poghos Arapian provided to the Armenian printing is inestimable. 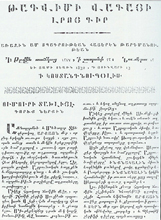 He managed to improve and complete the Armenian printed letters. With his badge were published such valuable works, as вЂњZhamagirqвЂќ published in 1799, вЂњNarekвЂќ, вЂњChashotsвЂќ, вЂњTonatsujtsвЂќ, вЂњSharakanвЂќ in 1802, вЂњAvetaranвЂќ in 1805, вЂњArakq SoghomoniвЂќ in 1806, вЂњAgatangeghocвЂќ in 1824, вЂњQerakanutiun Hajots lezviвЂќ etc. Poghos Arapian died in 1835 when he was 95 and was buried in the Armenian Cemetery of OrtakГ¶y. In 1912 in his volume вЂњTip u TarвЂќ dedicated to the 400th anniversary of the Armenian printing Armenian encyclopedist Teodik wrote about the burial site of Poghos Arapian, when he visited the abandoned and destroyed cemetery to find the gravestone of Arapian. The northern side the Armenian cemetery was ruined, the gravestone was removed and the cemetery was made a sports ground. They were looking for the gravestone of the famous Armenian, who supported the intellectual movement of Armenians and Muslims for 75 years, in the disappearing cemetery of Amiras in vain. 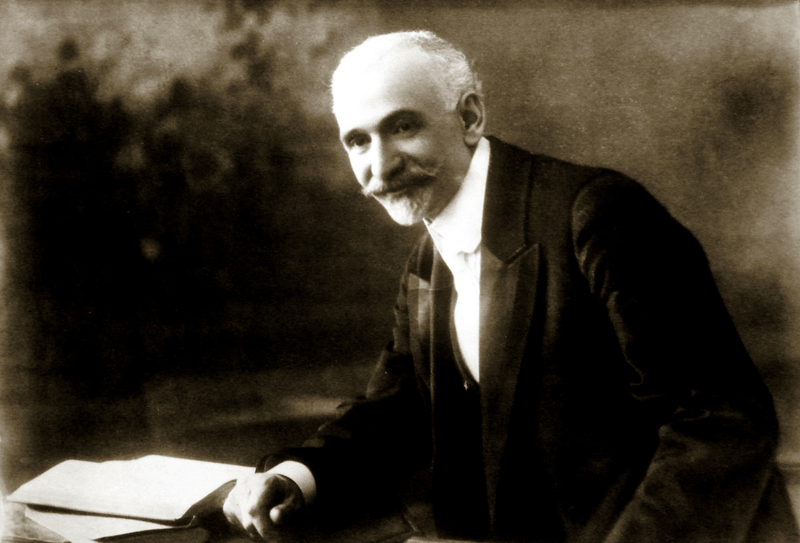 Poghos Arapian (Arapoghlu) is one of the most famous persons among the Ottoman Armenians who due to his long lasting, hard and devoted work turned the printing work to an art of printing in the Ottoman Empire. 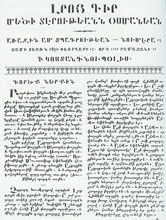 The tradition of printing was launched by вЂњArmenian GutenbergвЂќ continued his sons and grandchildren.